Artisan natural flavors from Amoretti are the perfect way to give your beer, wine, cider, or other creations a unique and delicious kick! Amoretti is a world leader in extracts, flavorings, pastes and infusions. Their Artisan Flavorings are used by hundreds of pro brewers from around the country, and now Amoretti is making them available to you the homebrewer! Amoretti Crema di Caramel Artisan Natural Flavoring, 8 oz. 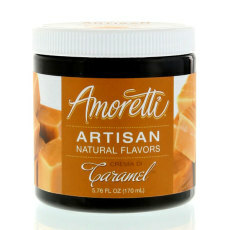 Natural crema di caramel flavoring from Amoretti, a worldwide leader in flavorings! Perfect for flavoring up to 5 gallons of homebrew! Natural flavor and color. No artificial sweeteners or preservatives. Amoretti Cherry Artisan Natural Flavoring, 8 oz. Natural cherry flavoring from Amoretti, a worldwide leader in flavorings! 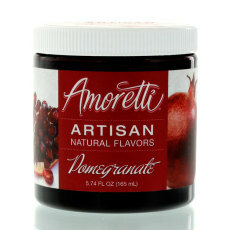 Amoretti Cranberry Artisan Natural Flavoring, 8 oz. 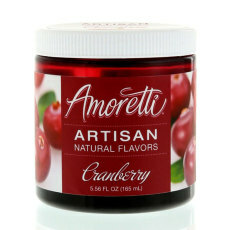 Natural cranberry flavoring from Amoretti, a worldwide leader in flavorings! Amoretti Peach Artisan Natural Flavoring, 8 oz. 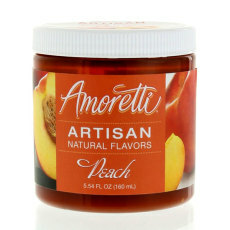 Natural peach flavoring from Amoretti, a worldwide leader in flavorings! Amoretti Watermelon Artisan Natural Flavoring, 8 oz. 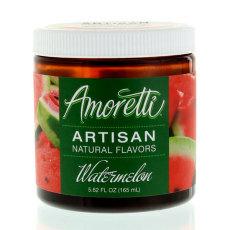 Natural watermelon flavoring from Amoretti, a worldwide leader in flavorings! Amoretti Lemonade Artisan Natural Flavoring, 8 oz. 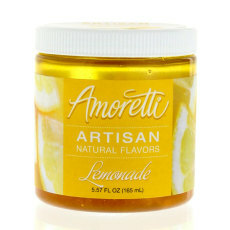 Natural lemonade flavoring from Amoretti, a worldwide leader in flavorings! 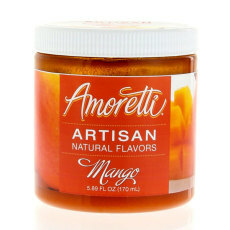 Amoretti Mango Artisan Natural Flavoring, 8 oz. Natural mango flavoring from Amoretti, a worldwide leader in flavorings! Amoretti Grape Artisan Natural Flavoring, 8 oz. 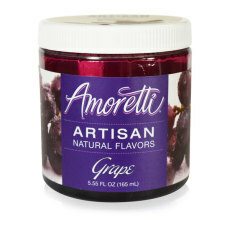 Natural grape flavoring from Amoretti, a worldwide leader in flavorings! Amoretti Pomegranate Artisan Natural Flavoring, 8 oz. Natural pomegranate flavoring from Amoretti, a worldwide leader in flavorings! Amoretti Pineapple Artisan Natural Flavoring, 8 oz. 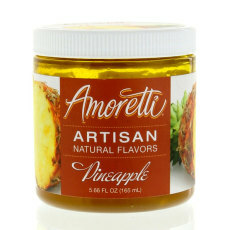 Natural pineapple flavoring from Amoretti, a worldwide leader in flavorings! Amoretti Key Lime Artisan Natural Flavoring, 8 oz. 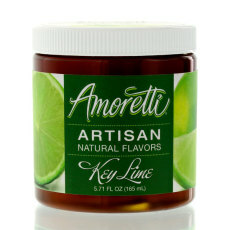 Natural key lime flavoring from Amoretti, a worldwide leader in flavorings! Amoretti Espresso Coffee Artisan Natural Flavoring, 8 oz. 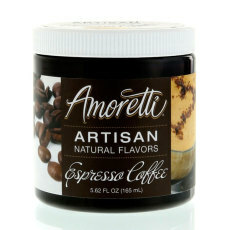 Natural espresso coffee flavoring from Amoretti, a worldwide leader in flavorings!